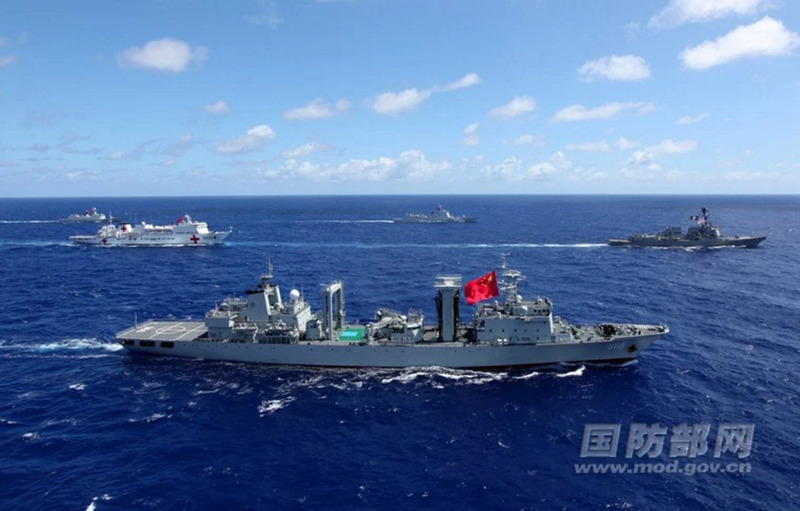 Chinese Ministry of Defence PhotoChinese and US ships sailing together before RIMPAC on June 25, 2016. 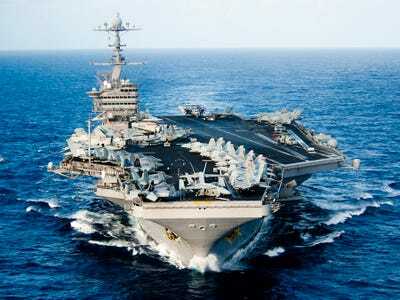 USS John C. Stennis’s strike group ahead of next month’s RIMPAC, the US Naval Institute reports. 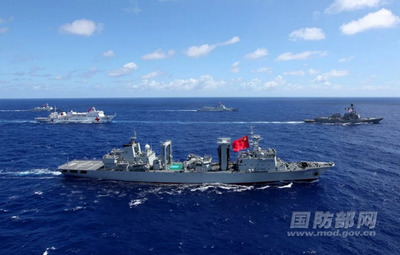 A PLAN destroyer, frigate, oiler, hospital ship, and a logistics submarine will support search-and-rescue drills as well as other exercises. “America wants to expand military-to-military agreements with China to focus not only on risk reduction, but also on practical cooperation. Our two militaries can all also work together, bilaterally or as part of the principled security network, to meet a number of challenges — like terrorism and piracy — in the Asia-Pacific and around the world,” Carter said. RIMPAC begins on June 30, and is set to include participants from 27 nations, 45 ships, and over 200 aircraft, according to the US Navy.